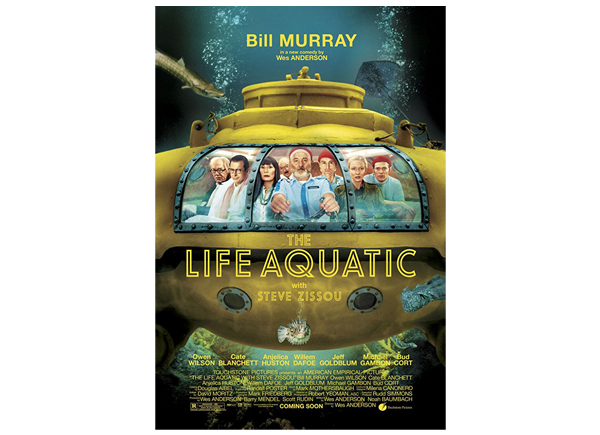 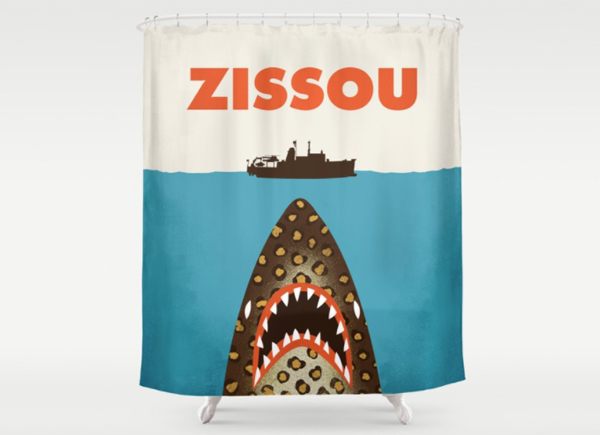 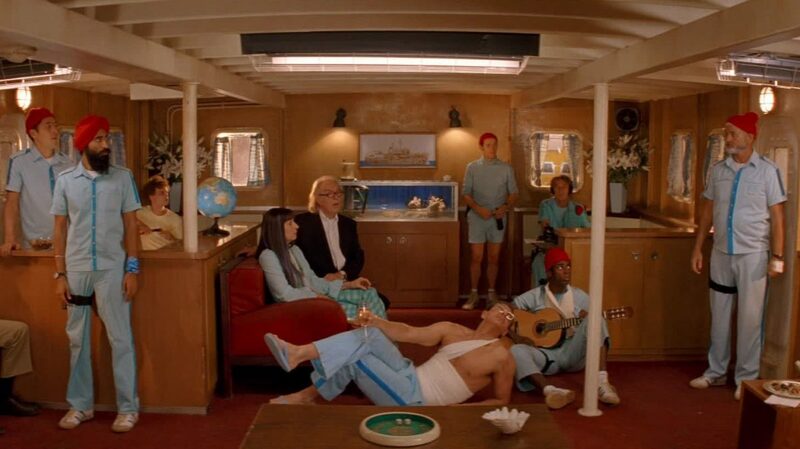 A Wes Anderson shower curtain featuring a design in homage to Wes Anderson’s The Life Aquatic by Wharton. 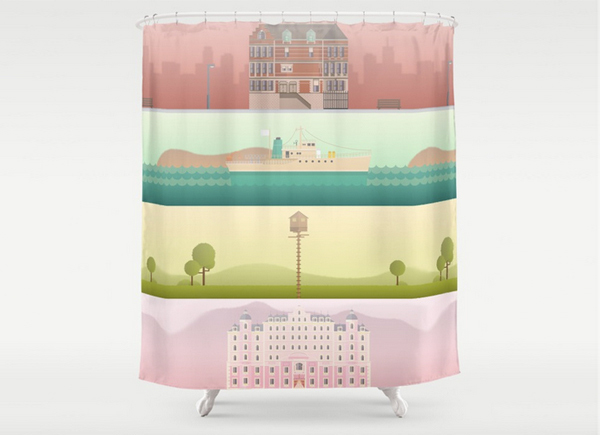 A shower curtain featuring a collection of beautiful illustrations from four Wes Anderson films: The Royal Tenenbaums, The Life Aquatic, Moonrise Kingdom and The Grand Budapest Hotel. 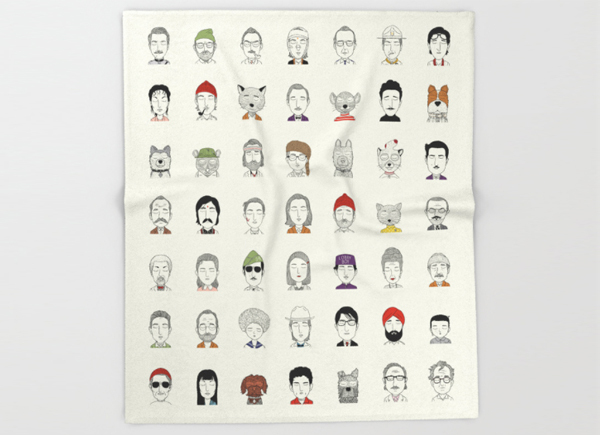 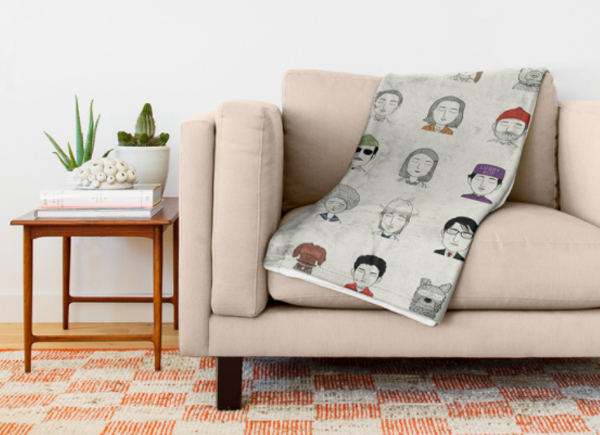 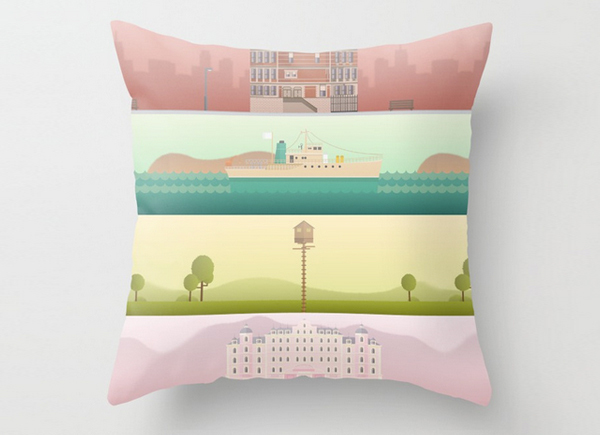 A throw pillow featuring a collection of beautiful illustrations from four Wes Anderson films: The Royal Tenenbaums, The Life Aquatic, Moonrise Kingdom and The Grand Budapest Hotel. 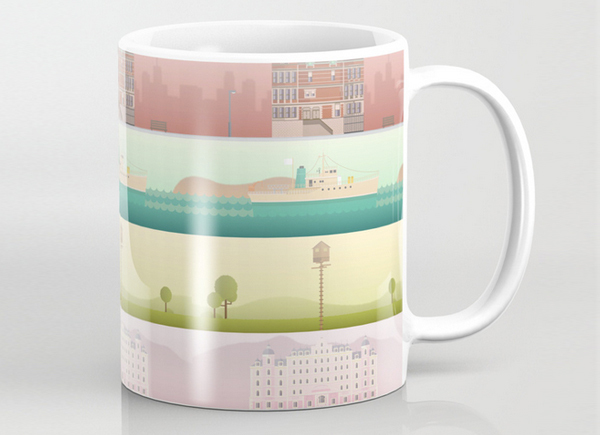 A mug featuring a collection of beautiful illustrations from four Wes Anderson films: The Royal Tenenbaums, The Life Aquatic, Moonrise Kingdom and TheGrand Budapest Hotel.